The Shopping Queen: First box launched by Her Fashion Box! 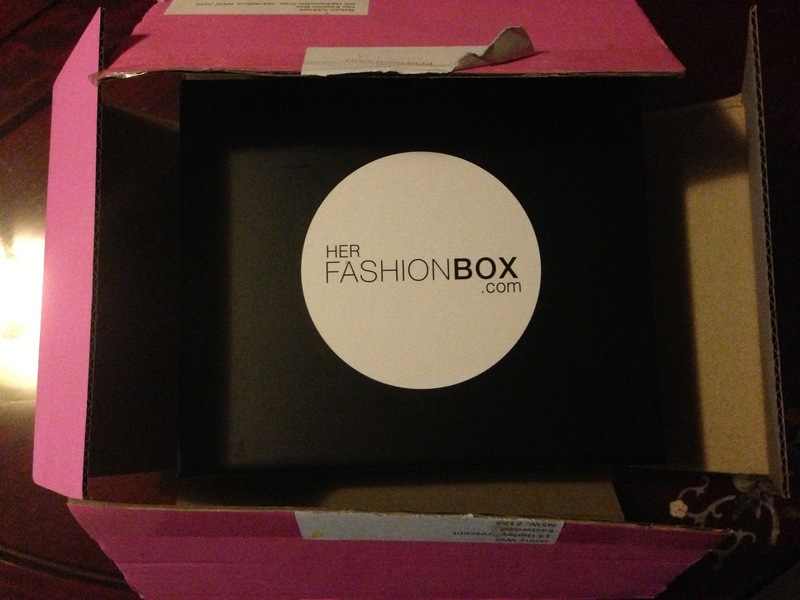 First box launched by Her Fashion Box! I'm also meant to be doing my uni homework right now so it's going to be a little rushed. 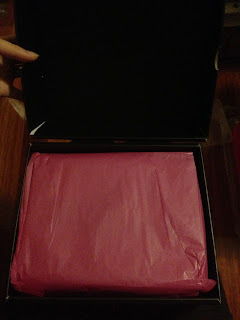 I hope that you'll at least get an idea of what to expect from Her Fashion Box and whether or not it's worth the money. Her Fashion Box box's are larger than other sample boxes like Bellabox and Lust Have It! It's a black box that's really sturdy and it'll be really good to use for storage purposes. 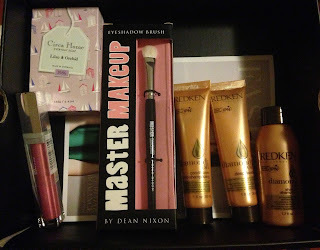 So inside the box, there are a mix of fashion items and beauty samples of decent sizes. Unlike Bellabox and Lust Have It! who print all their product information onto a single sheet of cardboard, Her Fashion Box sends out a magazine which was really impressive. It looks really professional and there's information inside about the beauty products and ideas about how to style your fashion piece. - Sample sizes of the new Redken Diamond Oil Range shampoo, conditioner and hair mask. 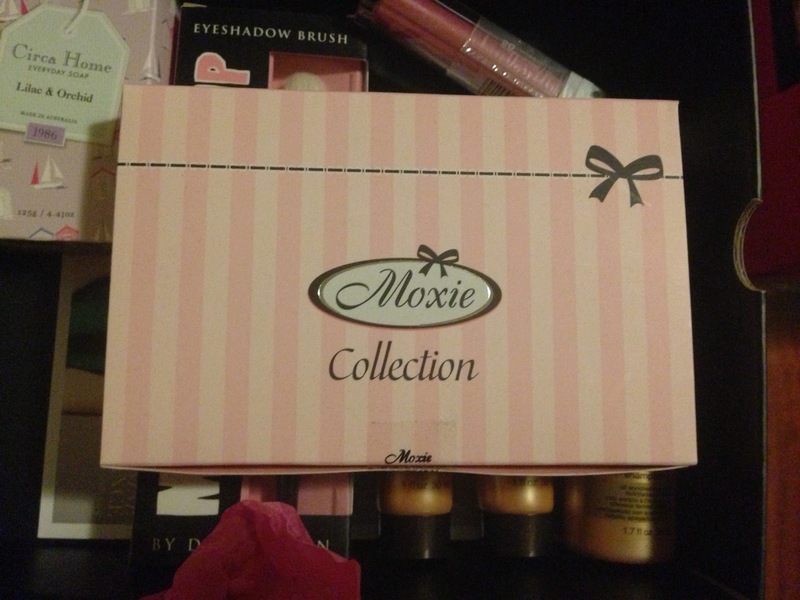 Are you impressed by what Her Fashion Box has offered us this month? I think that it's definitely value for money as I only paid $24.95 for this box (I used one of their 50% off codes that were available for the first box). They were originally $49.95/box but the price has since been brought down to $39.95/box. Don't forget to check out my previous post on the Chanel Rouge Coco Shine's here! 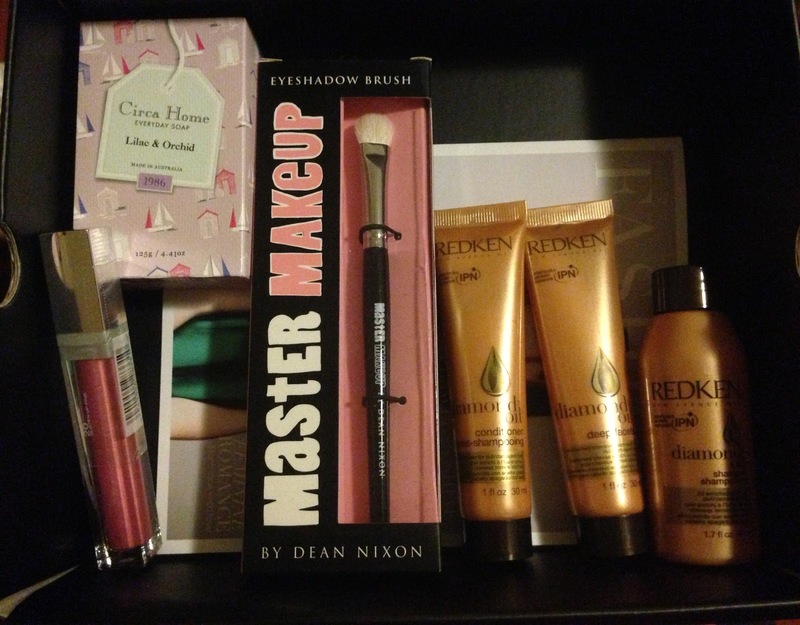 Wow, there are some excellent things in there, especially those beauty products! I probably still wouldn't subscribe to it, simply because I would rather just spend the money on things I am certain I will like, however I expect I would miss out on trying some really cool new things, so I guess I can see it from both perspectives. I know the feeling! If every box was $24.95, I'd keep my subscription but I can't afford $39.95 right now. out of curiosity; which 'style' of box did you pick for this box? i remember reading that they had a girly one, classic etc? I chose the feminine one. There was also classic and trendy boxes. From the looks of things, everyone gets beauty samples and a fashion accessory. WOW!!! I am really impressed with that box! Definitely worth the $24.95 you paid! Unsure if I would pay $39.95 but maybe as a treat if you can do just one box per order. Hmm. I like the box, but I'm not entirely sold on the idea that it's worth $40. Did you get the blending shadow brush? I didn't check properly but yeh I think it's the eyeshadow brush. I'm still not sure about the full price as yet! But hey, they may decide to reduce it as time goes by, it is just a new company after all! Yep! It's definitely too high.. I mean, I got a really good quality piece of jewellery but I heard that the jewellery in the other boxes (classic and trendy) were of poor quality? It was a good idea to hold off :) The necklace was of really really good quality! I think that if the boxes were permanently $24.95, people would stay subscribed but we'd need something REALLY good for $39.95. Oops pressed enter too early. That being said, I think that if the "fashion item" was of good quality, then of course it would be worth $39.95. It's really a matter of whether or not people can afford that much every month. Makeup haul show and tell time!